Jared Unzipped: How To Make Homemade Eggnog. One of the most delightful (and fattening) treats of the holiday season has to be eggnog. Coming to America in the 18th Century from England, eggnog originally used brandy as the alcoholic component of the beverage. Though, because of heavy taxation, Americans turned to using much cheaper rum from the Caribbean. As the American Revolution kicked into full swing, the supply of rum entering the British Colonies dwindled. In turn, this caused another change with the recipe. 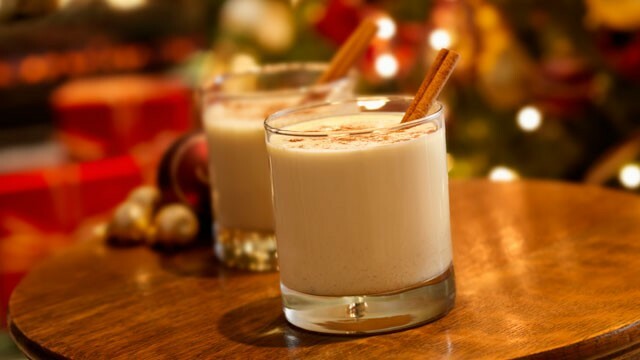 Instead of rum, Americans started mixing bourbon with their eggnog. In honor of a truly American holiday drink, here's a wonderful homemade eggnog recipe that you can create in your own kitchen. Remember, though... eggnog should be consumed in moderation. Begin by beating the egg yolks thoroughly with a mixer. Add the sugar until dissolved. Finally, mix in the bourbon, nutmeg, milk and cream. Set this mixture aside. Next, beat the egg whites with a mixer until soft. Then, mix in the tablespoon of sugar until the whites firm up slightly. Finally, whisk your egg whites into your already prepared egg yolk mixture. Chill the entire batch until the eggnog is nice and cold, then serve. If you want to try one of the older versions of eggnog, use brandy or rum instead of bourbon! Remember, there is a slight salmonella risk from uncooked eggs. Only use clean, pasteurized eggs with unbroken shells. The risk is small, but it's best to be cautious.